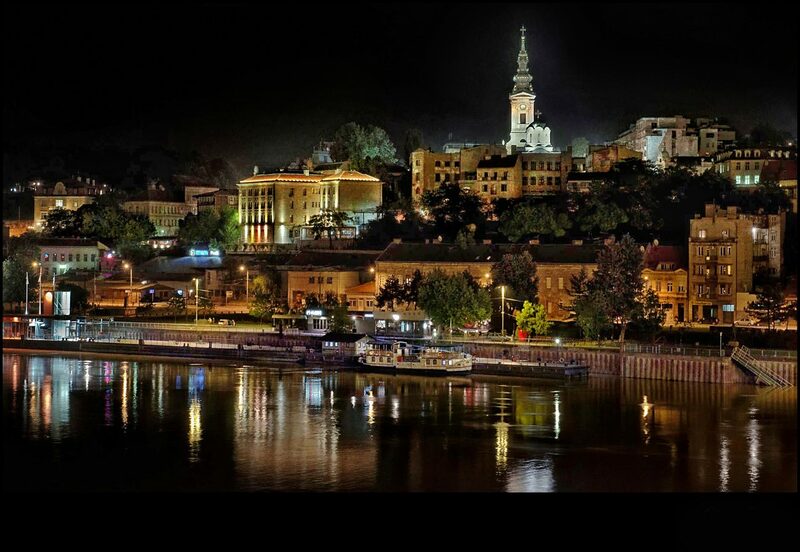 One of Europe’s oldest cities, Belgrade’s history dates back 7000 thousand years and has had many titles over the years. Serbia’s capital faced a tumultuous past while capital of the former Yugoslav republic, but is now making a major comeback, with millions of visitors coming each year. And it isn’t hard to see why people become charmed by Belgrade. The city still tells the story of it’s checkered past through stunning architectural remains of the Hapsburg and Ottoman Empire, while simultaneously brimming with life morning, noon and night. Clubs and bars that line the Danube and Sava river always seem to be packed, and boasts an is an impressive scene of contemporary culture. Yet, it’s now just tourists who are looking to experience the White City, but also a growing number of freelancers and entrepreneurs who are eager to become a part of Belgrade’s booming startup scene. As coworking has been popular major European cities like Berlin and Paris for a number of years, the countries in Southeast Europe have been developing their own brand of collaboration and coworking. As the concept is still relatively new, the founders of Belgrade’s very first design-driven incubator, Nova Iskra, had somewhat of a blank canvas at their disposal when they opened in 2012. The platform focuses on the wide field of the creative industries, and ensures that their members have the chance to engage in high-quality socially minded projects. In order to get the word out, platforms like Coworking Serbia, and members of the creative community worked hard to promote the concept of the creative industries, coworking and the value system of the creative economy. The message proved powerful, as in just six months Nova Iskra became self-sustainable simply through space memberships. “Everyone is welcome, if they have a good sense of what they would like to do and a certain level of professional practice,” explains Nova Iskra project coordinator Aleksandra Savanović. “Of course, we are here for the emerging, young authors, but they also need to be motivated and ready to work hard, just as we do.” One of the key elements of Nova Iskra’s manifesto is creating a highly professional collective environment, which caused them to avoid being “ aligned with any “clans” or interest groups” in order to stay independent. In addition to Nova Iskra, Belgrade as seen several other spaces pop up, such as the city’s first traditional coworking space Smart Office, which has been “tailored to meet the needs of mobile professionals, start-ups, entrepreneurs, free lancers, and everyone who needs smaller but fully functional, affordable working space with no investments, hassles or long-term contracts.” Spaces like In Centar, which is dedicated to the social entrepreneurship and disabled members, and Impact Hub have also found success in the Serbian capital. Savanović continues to explain that the legislative environment in Belgrade is also considering startups. “There are schemes for larger investors to even get subsidies from the state in order to employ Serbian workers,” she says. As bureaucratic red tape is becoming less of a problem for the locals, it is also creating space for international talent to enter the Serbian market. Serbia’s creative spaces know that there is still a way to go, which is why spreading know-how through workshops and events is still incredibly important. At Nova Iskra, there are special programs offered at least once a week, all for free, which has bridged the Serbian and international community. “Over two years we have offered over 200 programs, which has brought in over 6,000 visitors to Nova Iskra. We were lucky to present some of the leading international creatives, link with faculties from around Europe and majority of relevant design- and entrepreneurship-related experts,” says Savanović. And last but not least, whether you’re a seasoned Belgrade entrepreneur or a novice, there is an excellent local startup that helps you discover the ins and outs of the city’s diverse cultural environment. Belgrade Genie is comprehensive guide that includes details on the best locations in Belgrade, hours of operation and list of events, making you feel like a local in no time.